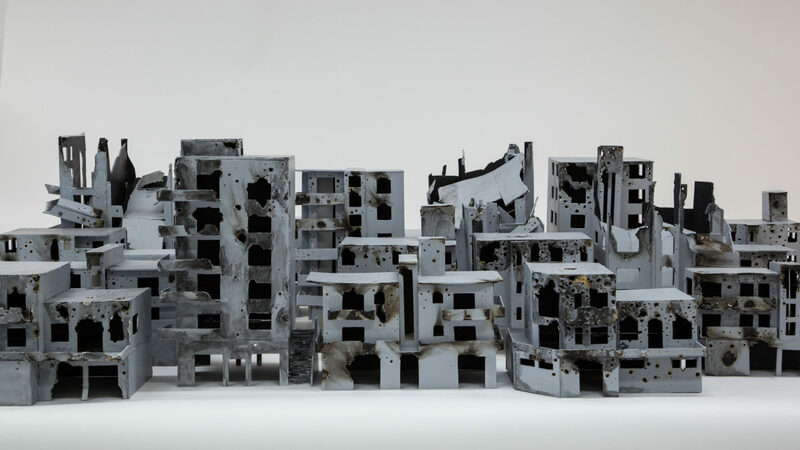 “The Syrian Experience As Art” is an exhibition representing the work of twelve Syrian artists who seek to express their individual and varied responses to the devastation of their country. This is an expanded exhibition, showing in two of Castleton University gallery spaces. One of the artists, Khaled Youssef, will be joining the exhibition via Skype to discuss his work and facility a Q&A session.